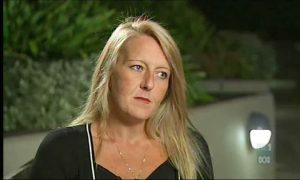 The secrets and scandals surrounding Nicola Gobbo, the former criminal barrister turned police informant, have come to surface this week. The first public hearing of the Royal Commission into the Management of Police Informants included shocking admissions by Victoria Police of professional misconduct and improper interactions with Ms Gobbo. This disgraceful saga of Lawyer X has all the elements for an Academy Award. In fact, Foxtel reportedly commissioned an eight-part series on the life of the controversial figure, with Nicole Kidman and Margot Robbie rumoured to play the main role. The first public hearing of the RC revealed disturbing new information about Ms Gobbo’s interactions with Victoria Police in the 1990s and 2000s. Detective Senior Sergeant Tim Argall admitted he had an “episode of physical intimacy” with the informant in 1997, two years after he signed her up as a police source. Following this incident, the police officer sought legal advice from Ms Gobbo when his drug squad detective friend, Paul Dale, was charged with burglary of a drug house. Mr Argall added the gangland barrister was “enthusiastic” and may have compromised professional dealings as “she went perhaps further than he would have liked” when it came to operational matters. A 2011 transcript of a conversation between Ms Gobbo and two detective sergeants revealed she also had an “on and off” sexual relationship with former assistant commissioner Jeff Pope. However, Mr Pope, denied the allegations as “completely false.” Mr Pope and Mr Argall will give evidence to the commission next week. The RC is aimed to investigate the number of cases that were affected by Ms Gobbo’s conduct and the practice and processes of Victoria’s police when dealing with informants. Ms Gobbo provided information on some of the state’s most infamous underworld members. The RC had initially planned to investigate Ms Gobbo’s registration by Victoria Police from 20005-2009. However, after several weeks of the announcement of the police inquiry by the RC in December 2018, Victoria Police told the commission she had also been registered in 1999 and 1995. It was only last month the identity of Ms Gobbo, who was long referred to as Lawyer X, was revealed to the world after a suppression order was lifted by the High Court. It was found by the judges that it was “essential in the public interest for the information to be disclosed.” It is necessary for accountability and transparency to be brought back into Victoria’s justice system to earn back the confidence and respect of citizens. You can read more about Lawyer X here.